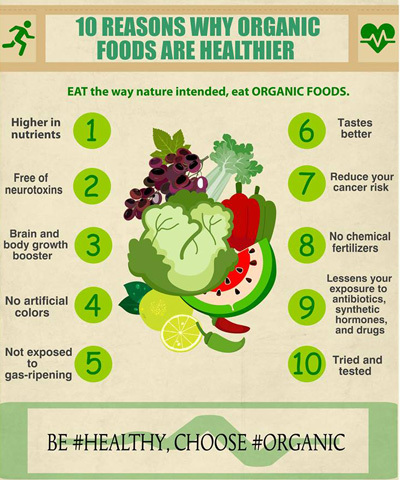 Organic food is simply food as it used to be. Modern crop farming has become massively industrialised with the widespread use of artificial pesticides, herbicides and fertilisers. This enormous over-use of chemicals damages our environment, our waterways, and our biodiversity. Organic farming involves the long-term management and care of the land, so that the soil is left richer and more fertile with each passing season. It is the ethical, natural way of producing food without debilitating the environment. Recently studies around the world have identified that organic fruit and vegetables contain higher quantities of vitamins and minerals than conventionally grown fruit and vegetables. Other studies have shown high quantities of chemical residue found on conventionally grown produce from the pesticides and herbicides used during their growth. Certified Organic products are grown and processed without the use of synthetic chemicals or GMOs (genetically modified organisms). Organics is an innovative method of farming, based on thousands of years of farming experience and is increasingly recognised as being on the leading edge of food technology into the future. Organic food is usually grown on small-scale farms that utilise more labour intensive practices and natural alternatives to chemicals. Organic farming is dedicated to producing quality, natural food. Organic food has so many positive aspects and as it is un-subsidised in this country, we are really only paying for the real cost of real food. Buying organic for you and your family is truly a long- term investment in both your health and the health of the environment. 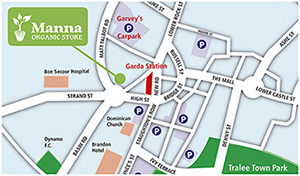 Manna Organic Store is a certified Organic Farm & Retailer; we have been certified by the Irish Organic Farmers & Growers Association (IOFGA). 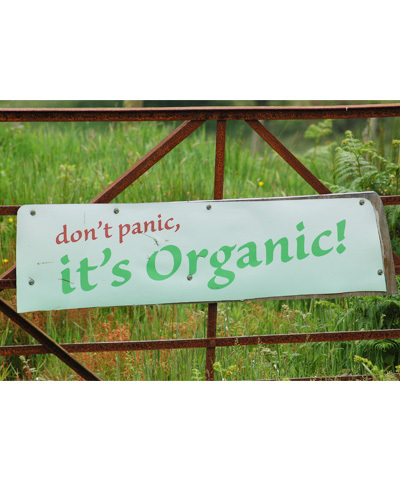 We fully support the organic movement and especially local organic farming. Our Organic farm is in the Gleann Na nGealt Valley on the dingle peninsula Co. Kerry. 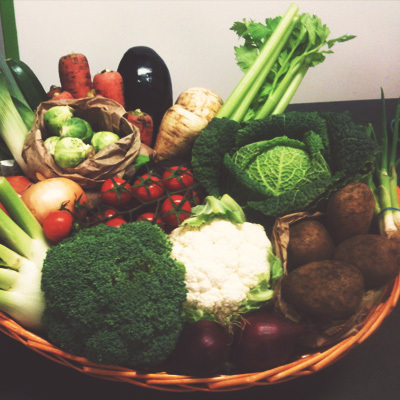 We provide the shop with as much fresh, premium-quality organic produce as we can. We are always looking to find more Kerry Organic Growers to expand the selection of local organic food for sale in Manna Organic Store. We will be happy to help out with information and support to any farmers and growers thinking about converting to organic farming.